Are you ready to give your car the service it is asking for? Schedule car maintenance or repairs right here. Our top-notch service staff can get your car or truck in and out quickly. 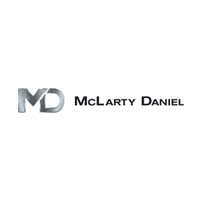 McLarty Daniel Chrysler Dodge Jeep RAM FIAT of Springdale in Springdale, AR treats the needs of each individual customer with paramount concern. We know that you have high expectations, and as a car dealer we enjoy the challenge of meeting and exceeding those standards each and every time. Allow us to demonstrate our commitment to excellence! Our experienced sales staff is eager to share its knowledge and enthusiasm with you. We encourage you to browse our online inventory, schedule a test drive and investigate financing options. You can also request more information about a vehicle using our online form or by calling (479) 715-4476. In Northwest Arkansas? Ask your smart phone or virtual assistant to “locate a Jeep dealer near me,” “locate a Ram dealer near me,” “locate a Chrysler dealer near me” or “locate a Dodge dealer near me” for easy navigation to McLarty Daniel CDJRF of Springdale! Customer service is good and filling my Job requirements makes it alot easier thanks from a Hertz driver. They had my parts on hand. Was even willing to assist if had to order the parts.